Mulberries have been cultivated since ancient times. 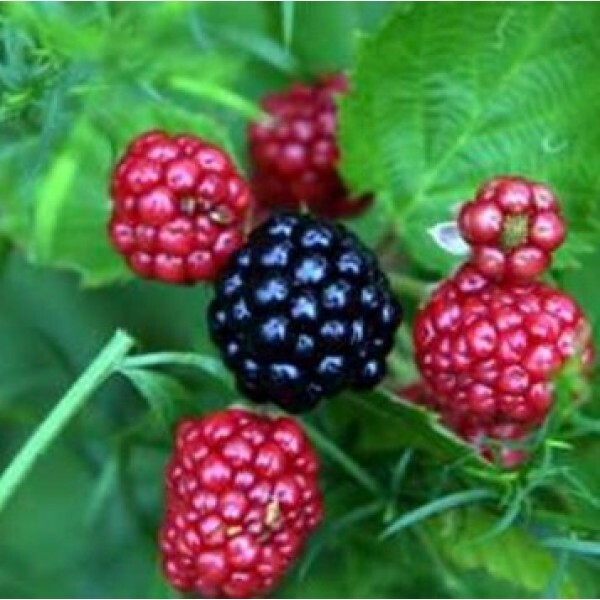 The black mulberry (Morus nigra) is native to Iran and can be exceptionally long-lived, bearing fruit for centuries. The white mulberry (M. alba) was the species used in the silk trade to feed silkworms. Mulberries are particularly tough and unfussy. Only in really cold districts will they fail to thrive. They can be grown either as bushes or standard trees. Some varieties of the latter eventually achieve a height of 10m or more, which is too big for most modern gardens. Varieties that reach half that size are available. How many to grow- Mulberries are self-fertile, and a single tree would be ample for most families. Varieties- The two species are the black mulberry, which produces fine dark fruit, and the white mulberry, with pale fruit that is relatively tasteless. There are some excellent culinary varieties: Hicks Everbearing; Hicks Fancy; Johnson; Downing; Stubbs, best suited to warm districts; Black English, not exceeding 5 m; and the very long fruiting Black Persian. The usual way to acquire a mulberry is by purchasing a young tree from a nursery. Most are grown in containers; plant any time the weather is suitable. Plant the young tree in an open, sunny position in well-manured soil, taking particular care not to damage the roots. Avoid planting near paths as the fruit is messy. Soil- Mulberries need a well-drained, preferably loamy and slightly acidic soil with an ideal pH of 6-6.5. They generally need little fertiliser if the soil conditions are right. An annual dose of slow-release granular fertiliser should be all that’s needed. Raising new plants- Take a cutting from a friend’s tree in either autumn or early spring, preferably a 30 cm cutting that has some two-year-old wood at the base. Plant the cutting deeply so that all but two or three buds are buried below ground. Alternatively, you could try rooting longer, larger branches, as they have a good chance of success, too. Be sure to trim off any lateral branches and bury about half the main branch in the soil. Large branches can be planted in the position where the tree is to grow, but shorter cuttings are better grown in a nursery bed for a year or two until they are well rooted. Avoid using any shoots that are growing from near the base of the original tree. The more desirable black mulberry was sometimes grafted onto a white mulberry, and the basal shoots may therefore be of the less desirable white species. Pruning- Mulberries tend to bleed when cut, so avoid heavy pruning. Remove dead wood or inward-growing branches that rub against neighbouring branches in late autumn to early spring. Birds may strip much of the crop of ripe fruit unless the tree is netted. The main disease is canker. The best way to gather mulberries is to wait until they ripen in early autumn, then spread a cloth or large sheet of plastic beneath the branches and shake the tree gently. Any unripe fruit can remain on the tree to be gathered later.